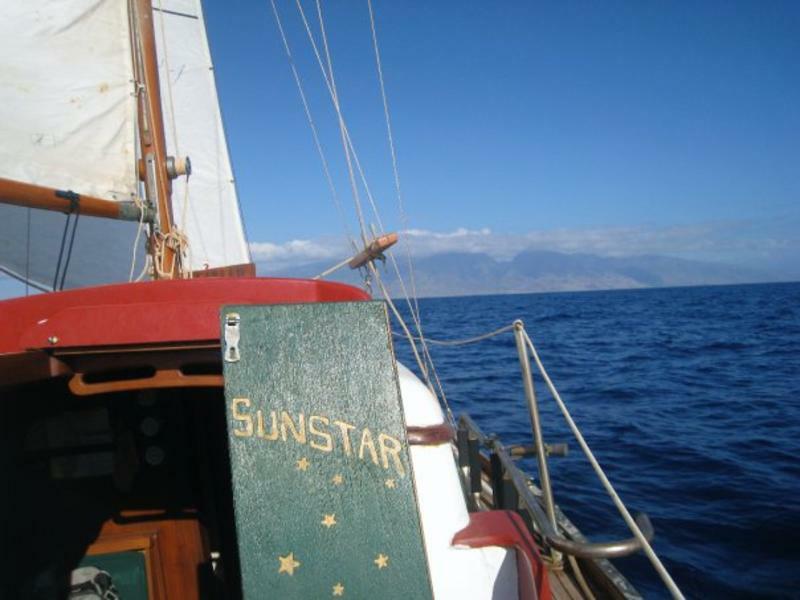 Sunstar is a roomy compact cruiser. she’s covered 3 oceans since she was built. sleeps 5, 2 in a spacious forward berth, 2 more in the double/dinette and 1 in a stbd quarter berth. all the plumbing for head is intact but the marine toilet has been removed. 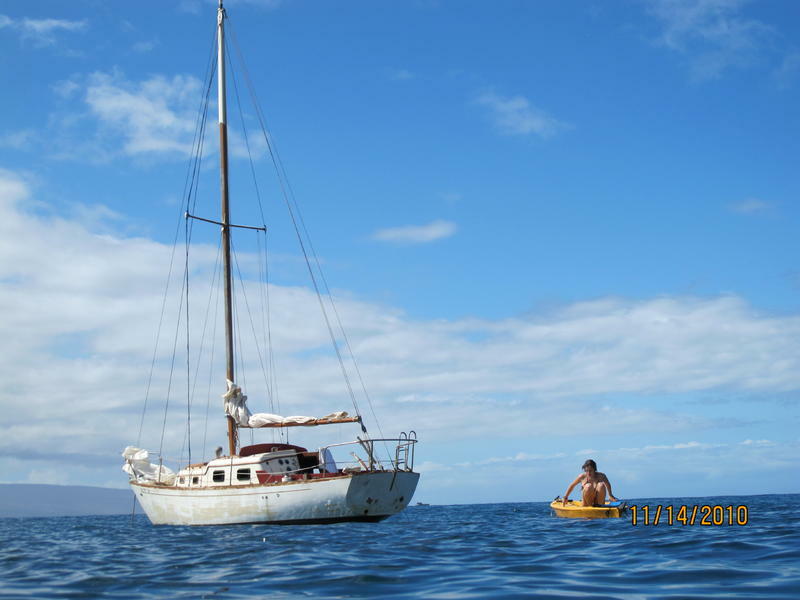 I’ve sailed the boat all over the Hawaiian islands and weathered 40-50 knot winds and 30 foot seas.she’s a sturdy little boat. 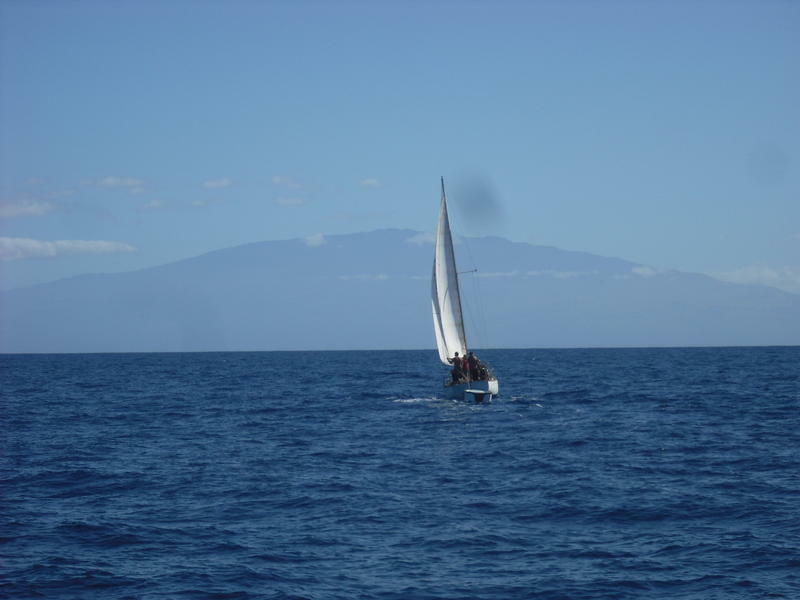 hull speed is rated at 5.5-6 knots and I’ve made 8 knots in inter-island crossings. she’s a project boat but can be cruised as is. 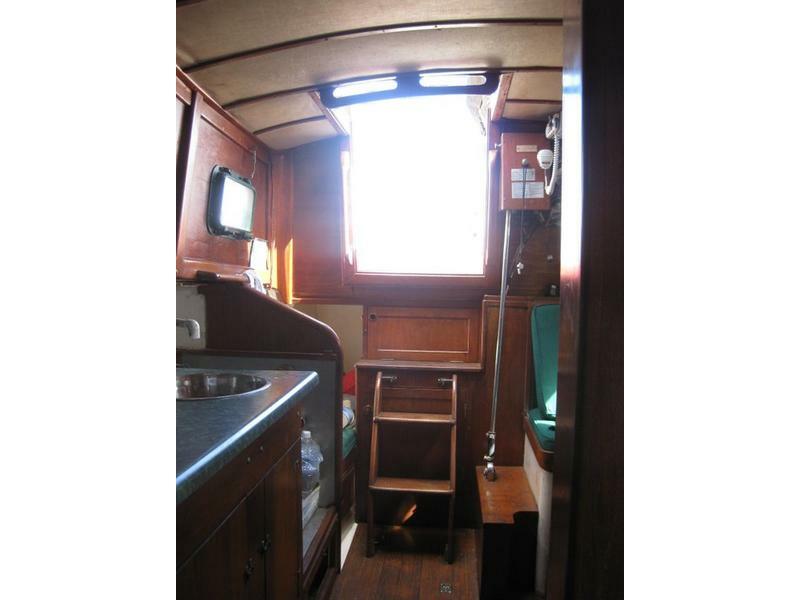 interior is mostly original woodwork and in great condition, new dinette table and modified galley counter. 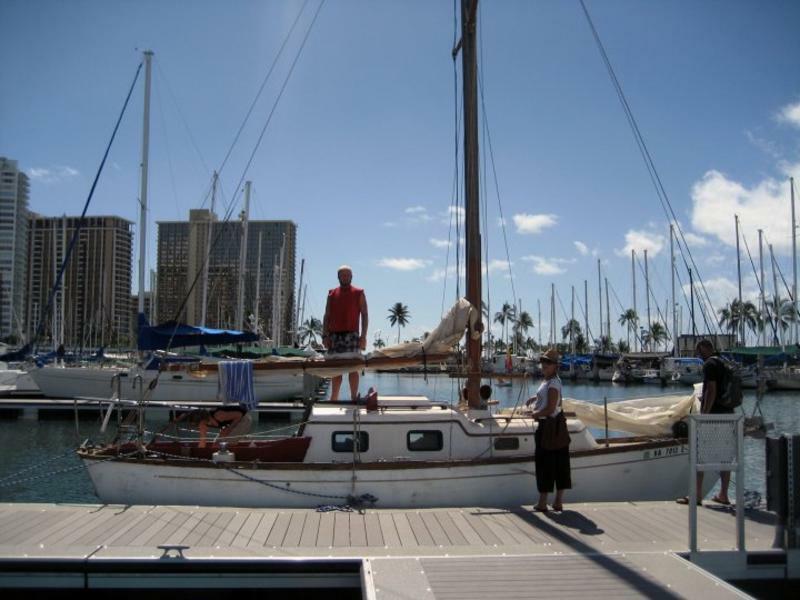 100% jib and 3 storm jibs down to 25%, main with 2 reef points all in fair to excellent condition, 2 halyard winches on mast and 2 sheet winches in cockpit, new halyards and sheets, new custom sail cover(hunter green) new tiller handle, Perkins 4-107 engine runs good -Borg Warner velvet drive gear, ground tackle- 2 danforth anchors 15 and 25 lb with 30 feet of chain and 300 feet of anchor line. manual anchor winch, VHF, GPS, 400 watt inverter, 2 house batteries and 1 engine battery, 12 volt lights and 2 oil lamps, 5 opening ports, flex fuel single burner stove, 50 gallons fresh water, 27 gallons fuel, swim ladder, 10 lifejackets, 8 foot custom pram dingy with outboard.